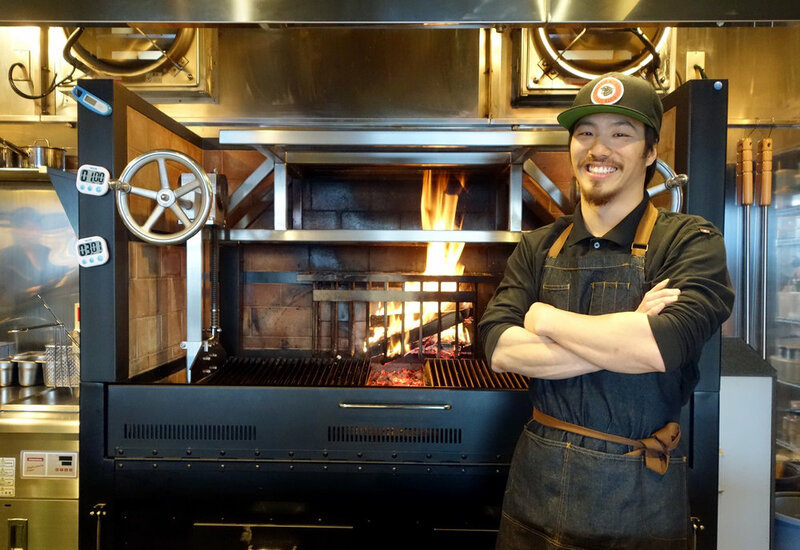 We caught up with Bryan Chia - winner of the '2015 Rising Chef of the Year' award at World Gourmet Summit, and former owner & co-founder of Morsels Restaurant (Singapore) - For a chat at his newly opened restaurant, Black Wood Grill at Nest at The Trees, Niseko. When did your passion for cooking start? I learnt to cook from my mom, who taught me from a young age. My first job was at a French restaurant in Singapore. After a few years, I went to the Culinary Institute of America in Napa Valley (USA), continued to work in the US and helped friends set up a few restaurants after that. From then on, I headed back to Singapore in 2012/13 to open my own restaurant. What attracted you to Niseko? The Trees is a family business, and the move to Hokkaido was easy as I love snowboarding - I started when I was 15. I am a surfer as well, so snow and waves! What's different about cooking in Niseko, compared to back in Singapore? I know this sounds contrary to opening a grill, but the vegetables here are insanely good! The simple dried black beans here are so good, and after smoking them, they are even better! How did the concept of Blackwood Grill come about? Blackwood Grill is about smoking - going back to that primitive form of cooking with live fire, and preserving with salt and smoke. Different woods add different flavours and the idea is to enhance the natural flavours of the fresh meats and produce of Hokkaido. If you could only cook with one meat for the next year, what would it be? Pork! Especially the Makkari pork, it is ridiculously good. Over the past 6 months in Niseko, what have you come to appreciate the most? The countryside, the nature. Being in the midst of the mountains here, you realise how small you are. It really grounds you, and makes you more appreciative of what's around. I've been introduced to a local farmer and I'm really looking forward to growing my own produce!